Making changes inside or outside your home can seem intimidating. Often these projects require a great deal of planning and skill, and even small mistakes along the way can lead to a much greater financial setback than anticipated. Due to such risks, there are certain projects that are better left to the professionals, or at least to those individuals with years of DIY experience under their belts. On the other hand, there are many projects that are much easier to complete than they look. For that reason, not to mention how impressed your guests will be, consider the following projects that are well worth tackling on your own. Whether you love to entertain or just enjoy unwinding out in the backyard after a long day, having a small fire pit can really add ambience to your outdoor space. Building them takes a bit of hard work and perhaps some heavy lifting, but the cost will be quite low and the final product will be well worth the effort. It’s usually easy to find the materials needed to build a fire pit on Craigslist or even by asking around, as it’s more than likely that someone needs to get rid of patio bricks, rocks from landscaping, or other items that are well-suited to being formed into a fire pit. Speaking of spending time in the backyard, another great outdoor addition is a small or medium-sized platform deck. A platform deck can be a perfect place to grill or place tables and chairs outside, without having the added worry of being on a sloped or uneven lawn. Also, having the deck just several inches from the ground eliminates the need for a railing or small staircase. Many hardware stores and websites offer platform decks made from either wood or composite materials that essentially come as kits, but if you feel comfortable and would like an added carpentry challenge, using reclaimed lumber in the construction of your deck is a great eco-friendly option. If you find that your walls feel a bit bare or you just need another place to put your books besides having them strewn across the coffee table, putting in new shelves is a quick fix that also happens to be one of the easiest tasks to complete on your own. One nice option for saving as much space as possible is installing floating shelves mounted to the wall, as this type of shelving would not require anything around it or a base on the floor. Of course, there are as many choices and styles of shelves as there are styles of home, so it should not be hard to find something that matches both your taste and budget. Although they aren’t necessarily the first thing people notice when they walk into a room, light fixtures do play a role in determining the aesthetic feel of whatever space they occupy. 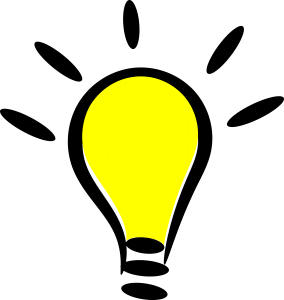 Yet many homeowners are content to keep the same plain-looking light fixtures in their homes for years, even if they often make improvements in other areas of the house. As with other small DIY projects, making new light fixtures can be fast, low-cost, and not at all difficult. For instance, you can easily make a hanging light fixture from artificial capiz shells for under twenty dollars. Or, to spruce up your back patio, try putting string Christmas lights into the decorative wicker balls that are usually used for table centerpieces. Again, the options are nearly endless, so don’t be afraid to get creative. If you feel that the exterior of your home is in need of a new look or is simply beginning to appear a bit shabbier than you’d like, repainting with a new color is usually not a bad idea. However, if you have brick on the outside of your home, applying anything besides brick stain can prevent the brick from breathing properly. Over time, this can cause serious structural damage. On the inside of your home, be similarly careful if you choose to paint over wallpaper. Water-based paints can break down the glue from the paper and it can start to come away from the wall. If you don’t feel like stripping the wallpaper, opt for latex paints rather than water-based paints. You may never have the desire to take a bath, and if the bathtub is separate from your shower, you might feel that it takes up far too much space in the bathroom. But even if you never use it, don’t be so quick to kick a bathtub to the curb, especially if it’s the only one in the house. For prospective buyers, a bathtub is often an important, if not essential, part of the bathroom. Unless you are never going to sell your home, be wary of making changes that buyers will find disappointing. Making updates in the kitchen is often a good idea, and there is nothing wrong with switching to more efficient appliances, creating open floor plans, or installing more durable and stylish countertops or floors. But price points can differ significantly when it comes to making changes in the kitchen, and many of the more expensive options are not necessarily worth it. For example, high-gloss lacquer on cabinets may look attractive, but purchasing them comes with a high cost up front and fixing any damage done to them is also quite expensive. The upkeep and changes you make to the outside of your home are nearly as important as what goes on inside it. And with any work you do around the house, it’s necessary to be at least somewhat knowledgeable about what it is you’re trying to accomplish. With that in mind, be sure to do your research when it comes to landscaping, gardening, and yard work. After all, you don’t want to end up with a tree’s roots damaging underground pipes or the foundation because it was planted too close to the house or having a dry, unhealthy lawn because it’s being mown too short. Even if you are doing most or all of the work yourself, it’s usually a good idea to at least consult a landscaping professional or a trustworthy online source to avoid making any errors. Even if you aren’t constantly finding yourself with clogged sinks or showers, it doesn’t necessarily mean you are treating your drains as well as you should. Few people realize, for instance, that there are certain foods that should be kept away from the garbage disposal, including rice, pasta, and other foods with high starch contents. When you do end up with backed up drains, dumping drain cleaners or bleach in to clear them up can actually cause a fair amount of damage and the eventual repair costs will certainly not be worth the trouble. Alterations to your home can serve several purposes. Perhaps the most obvious are the added experiences and enjoyment that come as a result of improving your home. Equally important is the value that your home accrues with each change–large or small–that you make as a homeowner. If and when you ultimately think about selling your home, you certainly won’t regret having made some important upgrades. To get some ideas, consult these tips on how to effectively improve your home. Your entryway provides guests and prospective buyers their first clue into what the rest of your home may be like, and your front door essentially acts as the centerpiece of that entryway. 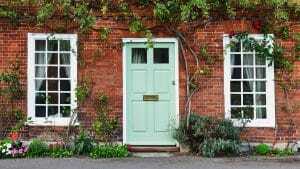 If your current front door looks a little downtrodden, it may be time to consider an upgrade. Replacing the door not only adds curb appeal and value to your home because of the aesthetic improvement. A new door can also result in considerably less cold air entering your home, resulting in a lower heating bill during those chilly winter months. Replacing the siding on your home may not be necessary in the entire time that you live there. However, if you feel burdened by the threat of rot, chipped paint, or any other types of constant upkeep that may come hand in hand with the type of siding you currently have, you might want to consider some alternative options. If you are sick of painting your wood siding every 5 years or so, it’s not a bad idea to make the switch to vinyl siding. With vinyl, you won’t ever have to paint again, and the method is relatively inexpensive. Another great option is fiber-cement siding. Though you will have to repaint fiber-cement about every 12 years, it is still quite low maintenance. On top of that, the material is flame resistant, mostly unaffected by moisture, and effective in keeping away insects and rodents. If you live in an area with a cold climate, your home likely has relatively comprehensive insulation. At the same time, there are probably certain parts of your home that are inadequately insulated, and each year that you allow your home to be improperly protected from the cold amounts to a year of unnecessary energy costs. The different areas of your home require different methods of insulation, so be sure to consult trusted sources on the various types of insulation, such as the Department of Energy guidelines. Adding a deck to the back of your house can seem intimidating and expensive, even if you opt for a DIY option. However, wood decks typically cost around $35 per square foot, which is definitely more affordable than a complete addition to your home. If you’re willing to sacrifice some backyard space, an added patio can be a great addition that will open up an abundance of new opportunities for entertaining guests and entice any buyers interested in your house. Most homes have at least 6 closets, and many have multiple walk-in spaces as well. But it’s pretty unlikely that any one of the closets in your home has additional room for storage. 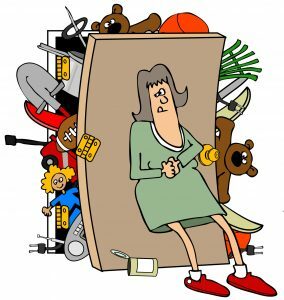 All too often, people haphazardly jam random items into their closets, overstuffing them to the point that it becomes almost impossible to even shut the closet door. Rather than render your closet space useless, consider revamping and reorganizing the closets in your home to minimize clutter and save countless hours hunting for those all but forgotten clothing items, shoes, or cleaning supplies you may need. Even after completely cleaning out a cluttered closet, you may find that within a couple months it has returned to its original state of chaos. In that case, the problem may not be how much stuff is in there, but the way those items are organized. To really take advantage of the space available to you, it can be a good idea to put in hangers, pegboards or cork boards, extra shelving, or even small filing cabinets. Especially with larger items, such as brooms and mops, it is far easier to keep them flush with the wall to take up as little space as possible. Though it might seem easy to use your closet as a catch-all for the many miscellaneous items that you don’t have a better spot for elsewhere, the result of doing so may make it much more difficult to find what you actually need when you go into your closet. After all, there are few things worse than pushing aside several coats and pairs of shoes just to find an electric drill. To avoid this problem, take the time to move specific types of items into different closets. There are two main benefits in doing so. First, you will always know the first place to look when searching for a particular tool, cleaning supply, or piece of clothing. Second, you will likely find that, through organizing each closet in such a way, there are many things hidden in your closets that you don’t need, and donating them or throwing them away will give you much more room for storage than you thought you had. If your kids move out of the house, you decide to give up skiing, or even if you just decide you don’t need so many pairs of shoes, you may find yourself with an extra unused closet. Instead of letting it sit empty and collect cobwebs, why not convert it into a more useful space? A small closet can easily be converted into a bookshelf by removing the door, adding shelving space, and perhaps repainting, and it will likely surprise you how much more open this small change will make a living area feel. Larger closets can be converted into anything from a small home office (complete with desk and office chair) to a makeshift miniature wine cellar. In a relatively small space, it is generally inexpensive and not overly time-consuming to make these types of changes, but the difference will certainly be felt by you and your guests. Having your home repainted is no small task. It is costly to have it professionally done and few people have the time, equipment, or patience to do it themselves. Unfortunately, however, having your home periodically repainted is not exactly optional. 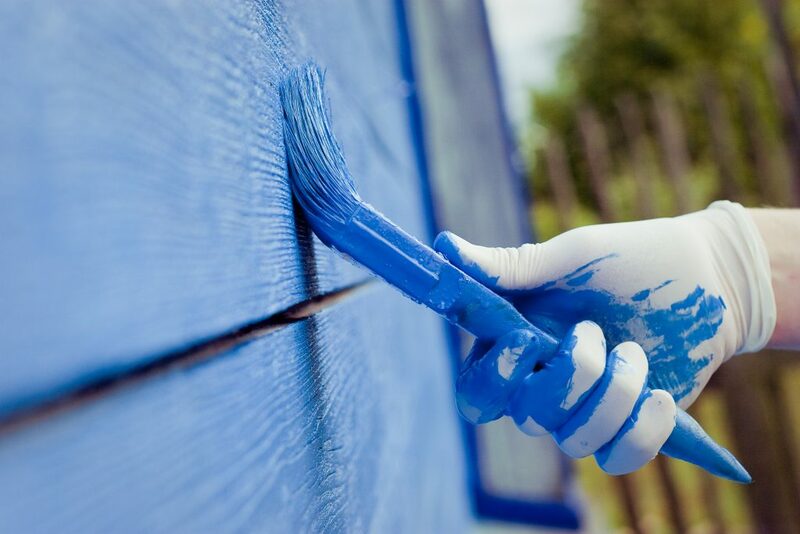 To minimize costs and hassles while remaining environmentally conscious, follow these tips for repainting your house. 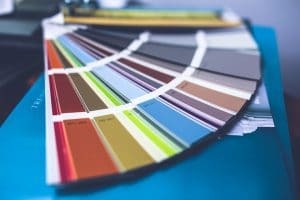 If you’re not satisfied with the current color scheme of your home’s exterior, it can be a good idea to choose something new for the outside of your home. If you do decide to switch things up, remember to be wary of picking colors that are too bright and vibrant. Picking very garish colors for your home may cause it to stand out more than you want, especially if you live in a neighborhood in which the other homes have a subtler color scheme. Having a home that stands out so much can also scare away potential buyers when you plan to sell, as they may be alarmed by a house that is in such contrast with the others on the block. As with other large improvement projects, repainting your home is something you want to avoid procrastinating. And it’s just as important not to jump the gun and have your home repainted too early, a clear waste of time and money if the paint is still in good enough shape for the time being. There is no exact formula for how long to wait before repainting your home, as factors including the age of the home, type of paint it has, and the climate in which you live are all relevant in determining how often your home should be repainted. There are, however, fairly obvious signs you will see indicating that it’s time for a new paint job. Cracked, faded, bubbling, and peeling paint are signs of damage, so it is best to repaint the moment any such warning signs turn up. It may come as no surprise to learn that what your home is made of is important in determining how often to repaint your home, as different materials do not respond in the same way to things like sunlight, cold, and precipitation. Yet it’s also important to understand that different materials require different paint types and some can even be damaged by being painted. Brick, for example, can deteriorate far faster if you use a nonporous paint, as this will trap moisture in the brick and cause problems when temperatures drop below freezing. The brick may warp as the water trapped within it expands, and you may be looking at a far greater cost than the initial investment required in painting your home. Whether you are doing the job yourself or having your home professionally painted, it’s important to avoid practices that are unnecessarily bad for the environment. The type of paint you purchase is definitely a relevant factor in terms eco-friendliness, and it’s a good idea to buy paints with low levels of volatile organic compounds, or VOCs. Even though these types of paints tend to be more expensive, VOCs have been shown to contribute to health problems such as respiratory diseases and even some forms of cancer, so try to pick paints with as low levels of these compounds as possible. Besides the type of paint you choose, there are other ways to stay green. Old paints can actually be recycled for future use, so if you have leftover paint lying around you can save it for your next job. And to eliminate other forms of unnecessary waste, be sure to take the time to research which brushes and other tools will stay in good condition and not have to be thrown away after a short use. If you are hiring contractors to repaint your home, don’t be shy about asking them what practices they employ to remain eco-friendly while doing the job. One of the easiest and most effective ways to reinvigorate your living space is to paint! However, painting is not without it’s pitfalls and there isn’t a do-it-yourselfer out there who isn’t familiar with the a least a couple of the potential frustrations inherent in the process. Following are a couple of painting pro tips for a pain free painting experience. Reduce Paint Odor with Vanilla and Lemon! A newly painted room is definitely something to be excited about so why let the smell ruin your enjoyment. Add a couple drops of vanilla, natural and synthetic are both fine, per gallon of paint to significantly reduce the unwanted smell. For lighter paints use lemon juice to avoid any color alteration. When masking tape isn’t enough to ensure peace of mind try using plastic wrap. When painting around furniture, appliances etc. it is necessary to exercise a little extra caution and take time to prep the area first. Whether it’s a toilet, stove, or standalone sink plastic wrap will prevent later frustrations and provide for a more worry free painting experience. For those who want a little extra security grab some adhesive backed painters wrap at your local hardware store. Although a lazy rainy day may seem like the perfect time to finally get that project done, you’re better off waiting for a little bit of sunshine. Humidity will mean more drips and a slower drying time. If you’re dead set on painting anyway make sure to take your time. It can be tempting to overwork paint to correct errors but it is best to avoid this as well. Instead of make your purchases a gallon at a time enlist a salesperson to help with a realistic estimate of how much paint you will need. Once purchased combine all the paint in larger container and mix thoroughly. This is called “boxing” and it will ensure that color remains consistent throughout your space. You’ve been hard at work all day painting. Once it’s finally dry you remove the painter’s tape to admire your handywork and what happens? Half the paint comes with it. There are few things more frustrating. To avoid this all too common problem grab a hair dryer (low heat) and hold it about three inches from the tape. The goal is just to loosen the adhesive so avoid spending too much time on any one spot. 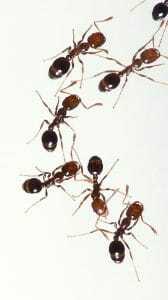 To some, having an ant problem can seem like a nearly insurmountable task to address by oneself, and many often think that the only solution is to call an exterminator. That can be a costly proposition. Instead, follow these four simple steps to eliminate that pesky ant problem once and for all. Ants really don’t like cinnamon. The essential oils in cinnamon actually deters ants, as they mistake the smell for a toxin. To keep ants out of your kitchen (or wherever else they may be), simply add a ½ teaspoon of cinnamon essential oil to 1 cup of water. Wipe down any areas where you typically see ants dwelling or at any point from which they may be entering your kitchen or living areas. Ants use their keen sense of smell in navigation, and some species rely almost entirely on their sense of smell to know where they are going. If you notice ants following a particular trail in your house, it is because they are sniffing out the pheromones left behind by the other ants in the colony. To keep the parade of ants away, it is important to wipe down any trails in your house where you typically see ants with soapy water. Additionally, you can use lemon juice, a cinnamon solution (see step 1), or any all-purpose cleaner to do the trick. Single ant colonies can exist for decades and contain hundreds of thousands of ants. It is for this reason that ants often seem impossible to completely expel from your home. One of the most effective ways of actually getting rid of ants is to address the problem at its source: the colony. Because ant colonies rely on their members to venture out into the world—or, just as likely, your home— you can bait ants with toxic morsels for them to bring back to their colony. To make poisonous ant food, simply mix the mineral borax with sugar and water until it forms a thick, syrup-like consistency. Then place capfuls of the paste in areas where you typically see ants. Over time, the ants in your house will bring back the solution to their colony, poisoning more and more other ants until the colony itself is no more. This step may seem easy, but a surprising number of people overlook common problems in their homes that may be main reasons for their ant problem. First, make sure any small cracks and crevices around doors and windows are sealed tightly with sealant. Those cracks provide easy access for unwelcome ant guests, so sealing them up is a must. Second, make sure all food containers are properly covered, clean, and tightly closed, especially if they contain sugar. Finally, make sure that window sills are wiped down with an all-purpose cleaner at least once a week. Ants often come from outside, and if there are even small traces of food by windows or doors, they are far more likely to be drawn inside. This summer, instead of filling up that trash can or making unnecessary trips to the town dump, turn those miscellaneous household items into useful new additions to your home. Whether it’s old strawberry containers or wooden pallets, everything in your home can be repurposed into something new. The summer is a great time to enjoy fresh produce from your local grocery store or farmer’s market, but oftentimes fruits and vegetable come in plastic containers that have to be recycled when you are finished with their contents. Instead of tossing all those containers, use them to store things like pens and pencils, batteries, or even the kids’ toys. Because the containers are see-through and stack atop one another, you can always see what you are looking for without opening up the box. Wooden pallets can take up a lot of space in your garage or attic, and getting rid of them is sure to be a pain. Instead of letting them go to waste, refashion any old pallets into lawn furniture. A simple google search will yield tons of design plans and ideas. Between laptops, tablets, and cell phones, it is not uncommon for families to have ten or more portable electronic devices in their homes. Having all those devices scattered around—which are often accompanied by their unsightly chargers—can take up lots of space on your counters or tables. To avoid that problem, turn an unused suitcase or briefcase into a charging station for your devices. All you need to do is place a power strip inside the suitcase so that each device can be charged while sitting in the case. For bonus points drill a hole in the back of the suitcase for the power strip’s cord to run directly to the outlet. An all-too-common problem in many homes is the myriad of spray bottles, sponges, paper towels, and any other cleaning supplies that get shoved under the kitchen sink and forgotten. Using an old hanging shoe organizer to tidy up all those cleaning supplies is an easy and useful trick to avoid ever needing to rifle through that mess again. Simply hang a shoe organizer from a closet or pantry door and place your supplies in each compartment. Not only will you be able to easily locate all of your cleaning supplies, but you won’t be straining your back looking for that long-lost bottle of Windex. Of course, we knew that all along! According to a study released by Wallethub.com, Vermont ranks first in “Health and Safety” and third overall in a comparison of 40 key factors of family-friendliness. New Hampshire ranks second overall. The site ranked all 50 states and the District of Columbia in five categories: family fun; health and safety; education and child care; affordability; and socioeconomics.